Simon Beck likes to make art in the snow. Not little snow angels or snowmen. Enormous pieces that can take up the side of a mountain. 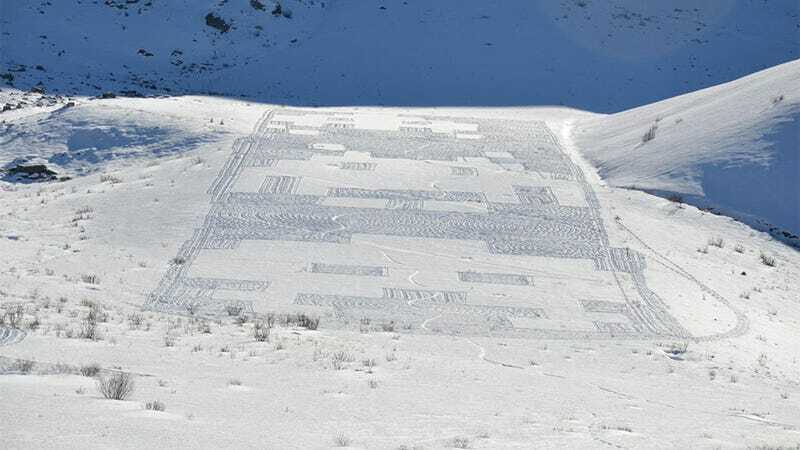 The results are often beautiful, like crop circles for the snow, and keeping with that alien art theme, Beck has done this enormous Space Invaders piece that spans a hillside. If you're wondering how he did it, look closely: they're just footprints in the snow. Amazing.